How does Necromantic Selection interacts with Reyhan? 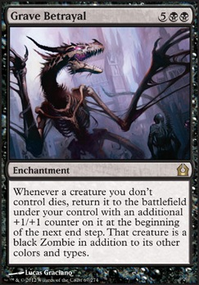 Destroy all creatures, then return a creature card put into a graveyard this way to the battlefield under your control. It's a black Zombie in addition to its other colors and types. 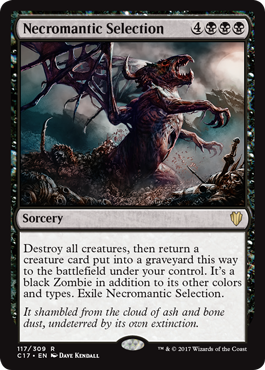 Exile Necromantic Selection. ColonelCreampuff, thanks for your comments! 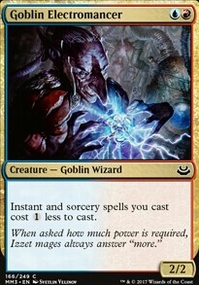 You are totally right regarding the high cost creatures, as Josu Vess, Lich Knight is also playable for 4 mana (and probably wins the game at 10), and Lim-Dul the Necromancer & Rot Hulk are so powerfull in combination with the Zombie Tribal theme, I decided to keep them. I did replace Overseer of the Damned for Grimgrin, Corpse-Born , thanks for the tip! Furthermore, replaced Necromantic Selection and Plague Wind with Bontu's Last Reckoning and Diabolic Intent which will also provide the answers I need but are easier to cast. First off, I love both the choice in tribal as well as the commander! As someone who has been running and refining a zombie tribal deck for a couple years now, I can see that you've got some great choices in there. From what I noticed, (on the mainboard, I didnt check too much of the sideboard,) you fell into a bit of a zombie tribal trap. There are a lot of cards that create soooooo many zombies that it feels wrong to not run them. 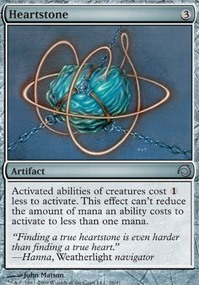 But in my experience, you never really have all the mana to use these big swinging spells effectively. Josu Vess, Lich Knight is a great example of a card that would pretty much close out a game, except she sits in hand and never really gets to the point where you can kick her. 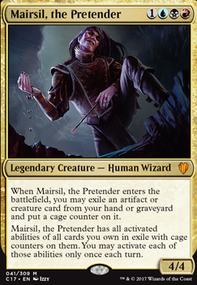 There are just a lot of cards that you can't get out cuz dimir just doesn't get the kind of ramp to run them. The cards that i would say fall in this too expensive to be worth it category are Josu Vess, Lich Knight , Lim-Dul the Necromancer , Overseer of the Damned , Rot Hulk is a really good card and might just push that boundary of good enough to be worth the mana, I'd keep it in and see how the deck feels, In Garruk's Wake , Kindred Dominance , Necromantic Selection , and Plague Wind . 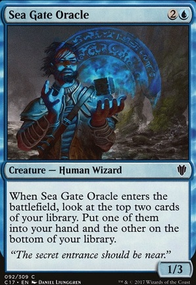 The last four are tremendous board clears, but are not really worth the mana for it when you could throw in some sacrifice fun stuff to clear out an opponents board, because The Scarab God basically means that no matter the creature, you'll essentially always have two. Again, this is a pretty easy trap to fall into, it just makes the game unfun when you sit on these huge uncastable spells. Beyond that, there are some card choices that are maybe a bit meh, but frankly it just isn't the end of the world. One suggestion that I feel duty bound to make is Grimgrin, CorpseBorn. With tokens, he is unstoppable, and if you have The Scarab God out, you can bring back anything that you sack to Grimgrin. One last note as well is to be careful with the amount of non-zombie creatures in the deck. It comes back to bite you more often then you'd think. Overall, this is a great deck and there's even some cards in here that I plan on adding to what I thought was an optimized deck! Definitely a +1 and I'm interested to see where your deck goes from here!!! You don't really need vensor's journal or whispersilk cloak. You don't really have big creatures that do anything on combat damage to a player. And you got some jank creatures. What is that vulture? no. No dross hopper, no gangrenous zombies, no zombie brute, gutless ghoul is kind of crap, you have a lot of things with activated abilities and I just don't think you're going to be using them that much. You also don't have card draw. You have a sign in blood and that's it really. Black has some good pay with life card draw cards. You have the sanguine bond/exquisite blood combo, but your sanguine bond is completely useless. You don't gain any life except from vensor's journal and you don't have much card draw, so it's not going to do much. Undying doesn't change the first ability of Treacherous Pit-Dweller based on whether or not there's a counter. It just means that if TPD has no +1/+1 counters on it when it dies, it comes back from the graveyard. 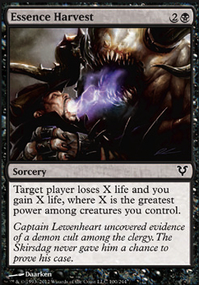 As mentioned, if it enters the battlefield from the graveyard at all, an opponent will gain control of it. It doesn't matter how it got to the battlefield from the graveyard. This could be due to its own Undying trigger, or somehow being given Unearth or a similar ability. It could also be due to things like Reanimate , Rise from the Grave , Grave Betrayal , Necromantic Selection , Liliana, Death's Majesty (second ability), and so on. It's worth noting that some of these (Grave Betrayal, Necromantic Selection) could be used by your opponents to steal TPD from your graveyard. If they do, it enters under their control, but then the control-switching effect triggers and they have to hand it off to one of their opponents. I know its budget, that's why i only suggested lower cost cards. Then was reading above comments.. If you are looking for card draw and cant afford a Rhystic Study, Necropotence could work, and so would Necrologia. You might just need more life gain to support them. I threw in a Exsanguinate, Drain Life and Gary just to help out with my card draw. Well your win condition is stax... without Smokestack...? You control how high it goes based on your token production and watch it munch up their permanents. 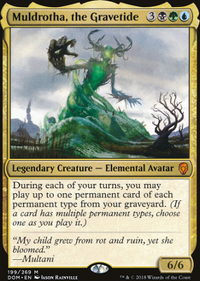 Price of Glory & Shivan Harvest, or just MLD, seem like they would win you the game if you want to attack lands. If you're going that route a Crucible of Worlds is recommended. Buried Alive is a relevant tutor you seem to have missed. Your deck seems to lack answers for your opponents strategies that don't involve amassing an army of creatures. Some sort of grave hate like Bojuka Bog or Nihil Spellbomb or efficient. Vandalblast hoses artifact decks and artifact acceleration. Chaos Warp is 's only way of dealing with enchantments. I would cut some of the less efficient board wipes like Life's Finale and Necromantic Selection for room. Also sorcery speed spot removal isn't anywhere as strong as instant speed so I'd lose the Walk the Plank and Dreadbore.